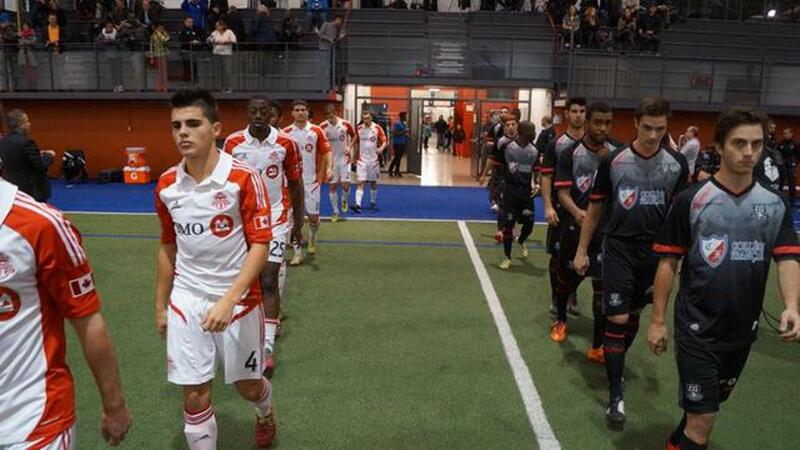 In the first of two legs in the freshly minted Div III InterProv Champions Cup, League1 Ontario 2014 champion Toronto FC Academy beat CS Longueuil - the champions of the Premier League of Soccer Quebec (PLSQ) - with a final score of 4-0 on Saturday at the Bell Centre Multiplex in Brossard, Que. The Junior Reds got off to a perfect start in the match, with their #8 - Marco Rodriguez - punishing an error by the home club by winning the ball and slaloming through two defenders, before his having his shot blocked by a third CSL back. The rebound settled nicely for #10 Dylan Sacramento to drive home from twenty yards, putting the visitors up 1-0 with only one minute and forty-five seconds played. TFCA wouldn't rest on their laurels, immediately pressing the Quebec champs from the ensuing kickoff and establishing a frenzied early tempo. The organization of the TFCA press would prove to be the difference on the night, as CSL defenders were continually harried in possession and forced to pass into tight spaces where the Ontario team would intercept. The Reds' counter attacks were swift as well. Rodriguez would be at the centre of of a counter in the fourth minute, benefitting from striker Stefan Vukovic's wide run and cutback before collecting the centred ball and firing goalwards, forcing a handball in the box from the CSL centreback Badiane Cheik Chamsdine. CSL goalkeeper and captain, Bayiha Gilbert, would atone for the error though, specatacularly saving Rodriguez's penalty low and to the left. TFCA wouldn't wait long to add to their lead. After a succession of well-worked corners by midfielders' Sacramento and Matt Stowell, TFCA pressure prevented CSL from clearing their defensive third. TFCA captain and defensive midfielder Mark Anthony Kaye mopped up a loose ball, played in Sacramento, and received a return pass, which he smacked in at the near post off sprawling CSL defender Chamsdine. In addition to his goal, Kaye's presence as a deep-lying playmaker and defensive screen in front of his back four was particularly impressive. His positioning and spatial awareness was top class, as he found pockets of space to collect and distribute the ball, and inspired the Reds' fullbacks to get into advanced positions to either support attack or help with the press. Kaye's deep role also pulled the CSL shape forward, which allowed considerable space for Vukovic to run onto long, direct passes from TFCA centre-backs. CSL were not out of the match though, and their big bearded centre forward Karim Ourzdine nearly powered the home side back into action on twenty minutes, breaking behind TFCA fullback Tarik Robertson and cutting back for a late run in the box by Mimoun Antoine. 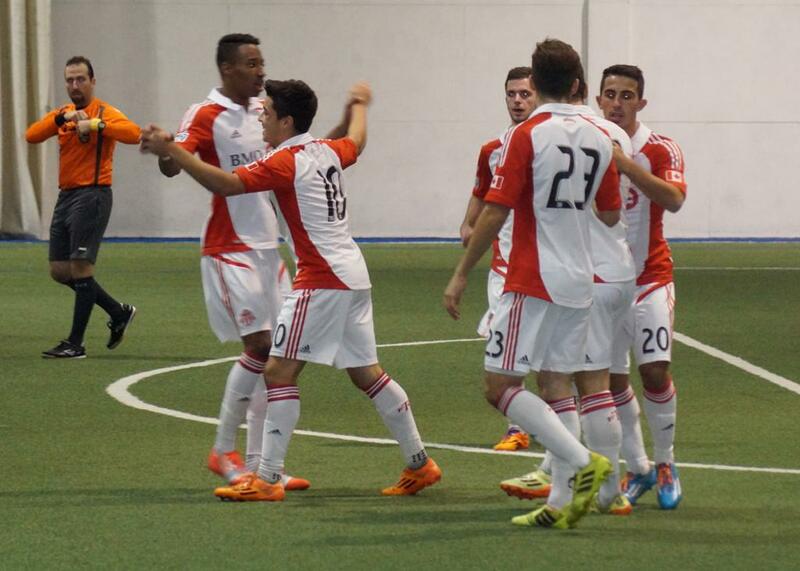 Unfortunately, for the hosts, Antoine's shot was blocked into touch by TFCA defenders. CSL stayed on the front foot, breaking again on twenty minutes, this time behind TFCA's right full back Marcus Godinho after a third man run by CSL centre-back Matthew Francois. An early cross was just inches away from a sliding Carrie Cedric at the back post. However, these chances for CSL would only serve to wake up the Reds. In the twenty-sixth minute Marco Nunes picked up a ball on the right flank and slid in a neat diagonal for the onrushing Sacramento, who was only denied his second goal by the well-timed intervention of Bayiha. TFCA would ramp up the tempo of their one touch patterns, and on thirty-eight minutes Quante Smith initiated a move into Vukovic, who turned and deftly laid a ball over the top for the overlapping Sacramento. No mistake was made this time, with Bayiha left in no-man's land by the #10's early and precise finish. Luca Uccello was brought on during the half-time break by TFCA for Rodriguez (who went into the official's book just prior to the break), and immediately repaid his manager with a slicing move out of midfield, playing a quick wall-pass with Sacramento before slipping a well-taken finish with no backlift into Bayiha's bottom right corner. The second half would be gradually dominated by TFCA, with a front quartet of Vukovic, Sacramento, Stewell and Nunes pulling CSL apart at will with their intuitive movement off the ball. Subs were rolled in gradually, with Anthony Osorio, Derrick Sequeira, and League1 Golden Boot winner Molham Babouli all making appearances. Babouli, much like Uccello, nearly scored within minutes of coming on, finding himself alone with Bayiha after another visionary pass from Sacramento, but the CSL GK did well to get up and collect Babouli's attempted chip. TFCA's defensive organization soaked up any late chances of momentum shift, with every man on the park for the Reds committed to either winning the ball or creating chances for teammates to tackle. Even in the final minute, after an overzealous tackle on the edge of the box, TFCA netminder Filippo Di Bennardo showed fantastic late-game awareness to tip over a point-blank header. Although this was an exceptionally polished performance from the entire Junior Reds squad, man-of-match could be none other than Dylan Sacramento, who scored two on the night and assisted on both of the other tallies. 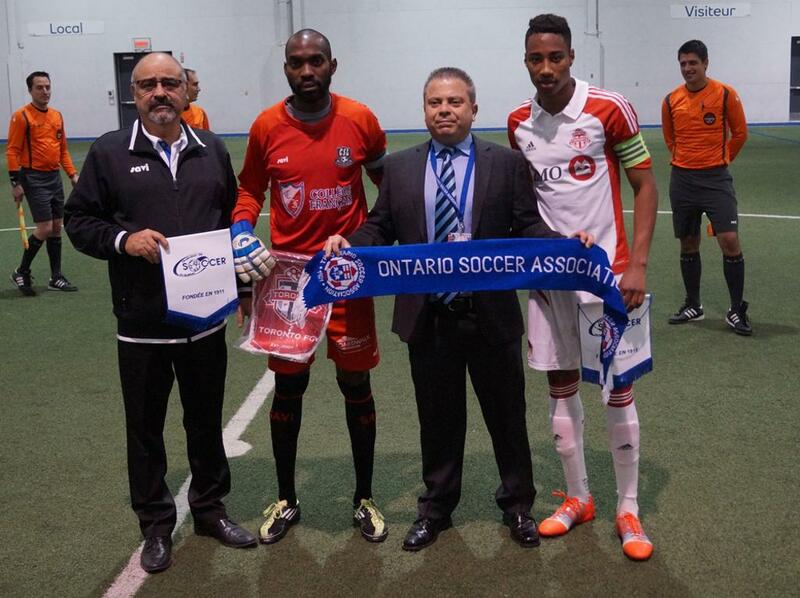 Next leg of the InterProvincial Champions Cup is Saturday November 8, 8 p.m. kickoff at Pickering Soccer Complex.